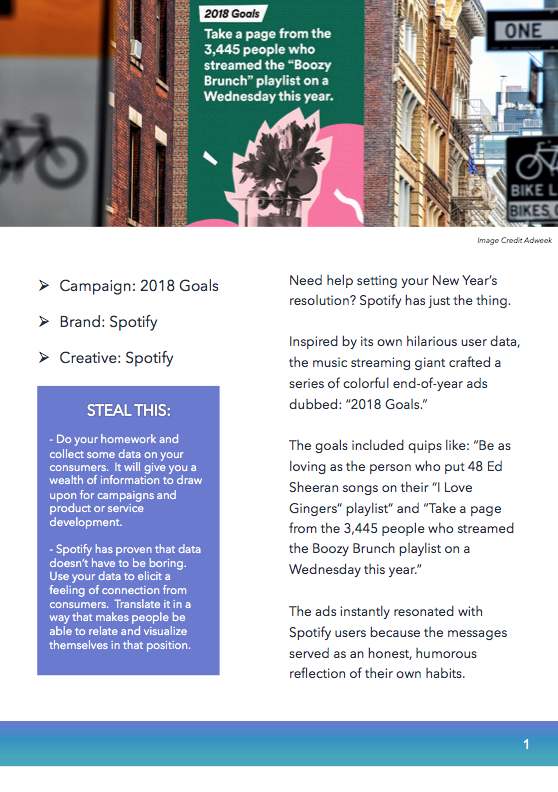 Get inspired by campaigns from Spotify, Allbirds, Taco Bell & more. When brainstorming new ideas for marketing and advertising campaigns, it’s not uncommon for the following questions to come to mind: How can we earn more customers? 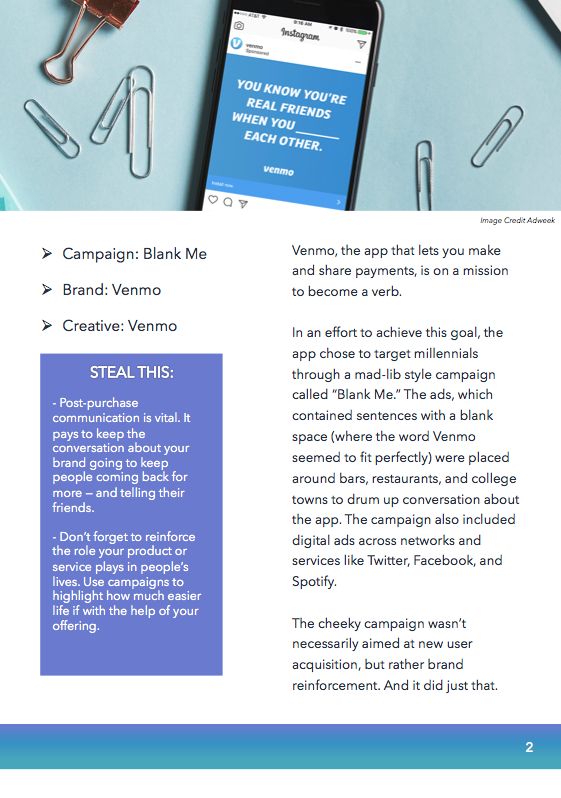 How can we up-sell our existing customers? How can we position ourselves in the best light against our competition? But the best campaigns, well, they tend to consider a bit more. You see, the best campaigns don't just sell, they educate, inspire, and help you achieve or feel something. Trouble is, coming up with these remarkable campaign ideas on a regular basis can quickly drain your creative energy. 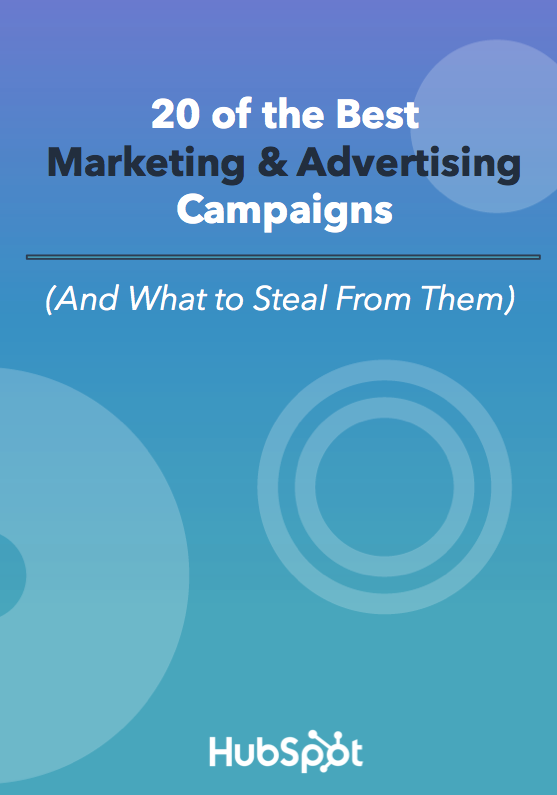 That's why we’ve compiled a list of the top marketing and advertising campaigns ever, and included a few juicy details explaining what made each campaign standout. 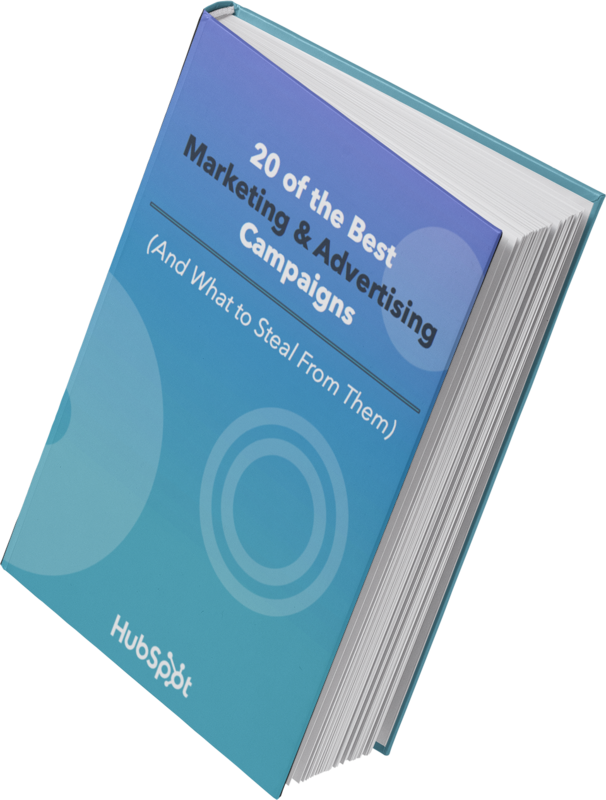 In this guide, you'll learn strategies you can use as inspiration for your next marketing initiative, so your campaign content never falls flat.